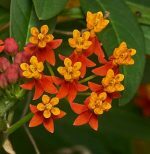 Asclepias is a genus of herbaceous perennials and belongs to the dogbane fmaily, Apocynaceae, that also includes bluestar, periwinkle, and oleander. Many species are native to the North America and some are valued as garden plants although others are considered too weedy. Plants are stiffly erect and have a milky sap when picked or damaged. They grow from a rhizomatous rootstock and their stems have leaves that are opposite or whorled . The waxy flowers are produced in summer in dense flat-topped terminal clusters or in rounded axillary clusters in the leaf. They are very complex in structure and consist of 5 backward-pointing petals with reflexed lobes and a corona of 5 erect hoods each with a pointed horn. Flower color may be green to orange, yellow, pink, or purple. In the fall seed pods(follicles) appear filled with numerous seeds tufted with silky hairs. The seed pods are valued for dried arrangements. The genusus name Aslepias honor the Greek god of medicine. 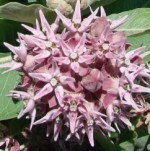 Most milkweed like full sun and average, moist, well-drained soil but swamp milkweed thrives in wet soil. 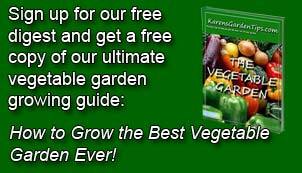 Plants can be propagated by seed and most can also be propagated from tip or root cuttings. 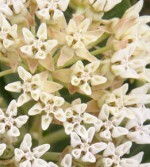 A. tuberosa resents transplanting and is best propagated by tip cuttings. The flowers are an important source of nectar for many butterflies and the leaves are the sole food source for the caterpillars of the monarch butterfly. 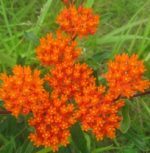 Milkweeds look well in meadows with grasses and other native plants, or in borders with such perennials as Salvia ‘East Friesland’ and beebalm. 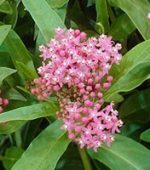 Swamp milkweed is a good choice for a bog or water garden. Tropical sub-shrub native to South American but very successful in US South. Native to eastern and central US; ‘Gay Butterflies’ provides mixed flower colors; has long taproot and resents transplanting.